Recently filed Senate Bill 387 would implement work or community service requirements for able-bodied adults enrolled in North Carolina’s Medicaid program. Medicaid work requirements were first introduced as an option for states by the federal government in 2018. Thus far only states that have expanded Medicaid have had work requirements approved by the Centers for Medicare and Medicaid Services. Employment verification is not a federal requirement for Medicaid eligibility, so in order for states to include work requirements, they must gain approval from the Centers for Medicaid Services (CMS) through section 1115 Medicaid demonstration waivers.2 As of March 2019, eight state work requirements waivers have been approved, with seven currently being considered by CMS.3 So far, 3 out of the 8 approved states have implemented their work requirements : Arkansas (June 2018), Indiana (January 2019), and New Hampshire (March 2019). As the North Carolina General Assembly considers Medicaid work requirements, it is important to monitor these legal challenges and the experiences of states that have implemented work requirements. Musumeci M, Garfield R, Rudowitz R. Medicaid and Work Requirements: New Guidance, State Waiver Details and Key Issues. https://www.kff.org/medicaid/issue-brief/medicaid-and-work-requirements-new-guidance-state-waiver-details-and-key-issues/. Published 2018. Accessed March 20, 2019. Hinton E, Musumeci M, Rudowitz R, Antonisse L, Hall C. Section 1115 Medicaid Demonstration Waivers: The Current Landscape of Approved and Pending Waivers. Kaiser Family Foundation. http://files.kff.org/attachment/Issue-Brief-Section-1115-Medicaid-Demonstration-Waivers-The-Current-Landscape-of-Approved-and-Pending-Waivers. Accessed March 20, 2019. Status of Medicaid Expansion and Work Requirement Waivers. The Commonwealth Fund. https://www.commonwealthfund.org/publications/maps-and-interactives/2019/mar/status-medicaid-expansion-and-work-requirement-waivers. Published 2019. Accessed March 20, 2019. Galewitz P. 5 Things To Know About Medicaid Work Requirements. Kaiser Health News. https://khn.org/news/5-things-to-know-about-medicaid-work-requirements/. Accessed March 20, 2019. Mahan D. Work Requirements in Medicaid Waivers: These Aren’t About Work. FamiliesUSA. https://familiesusa.org/product/work-requirements-medicaid-waivers-these-arent-about-work. Published 2018. Accessed March 20, 2019. Pipes S. Medicaid work requirements are common sense. Washington Examiner. 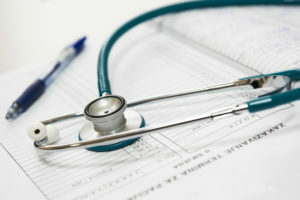 https://www.washingtonexaminer.com/opinion/medicaid-work-requirements-are-common-sense. Published 2018. Accessed March 21, 2019. Rudowitz R, Musumeci M, Hall C. January State Data for Medicaid Work Requirements in Arkansas. Kaiser Family Foundation. https://www.kff.org/medicaid/issue-brief/state-data-for-medicaid-work-requirements-in-arkansas/. Accessed March 20, 2019. Alker J. Arkansas’ Medicaid Work Reporting Rules Lead to Staggering Health Coverage Losses. Georgetwon University Health Policy Institute Center for children and Families. https://ccf.georgetown.edu/2019/01/18/arkansas-staggering-health-coverage-losses-should-serve-as-warning-to-other-states-considering-medicaid-work-reporting-requirement/. Accessed March 20, 2019. Goodnough A. Judge Blocks Medicaid Work Requirements in Arkansas and Kentucky. The New York Times. https://www.nytimes.com/2019/03/27/health/medicaid-work-requirement.html. Published 2019. Accessed March 29, 2019.